Anastasiya Pravankin, the student director of GW Listens, said the hotline's anonymity should encourage students to seek out help. The hotline launched Sunday after multiple semesters of planning. Updated: Jan. 23, 2017 at 10:38 p.m.
After years of planning and a delayed opening, GW’s first anonymous peer hotline opened Sunday. The program, called GW Listens, was set to begin this past fall, but it faced obstacles after a top administrator working with the program was laid off in May. After the semester-long delay, the call line will now be available Sundays through Tuesdays from 9 p.m. to 1 a.m. and marks the launch of a years-long, student-run project. Anastasiya Parvankin, the director of GW Listens, said the anonymity of the call line will help students take the first step in reaching out for help. Students can call in about any issue without anyone knowing that they’re using the resource, adding a sense of comfort to what can often be a difficult choice to seek out help. After student volunteers take calls, they will fill out a short survey that includes general information about a caller’s issue – excluding identifying information about the caller – to gather data and better prepare future volunteers, Parvankin said. If there is a serious issue that a volunteer cannot handle, a mental health counselor from the Colonial Health Center is available to talk on another line, she said. GW Listens currently has one phone with multiple lines, and program leaders will work on getting a second phone if the demand is needed, Parvankin said. For the launch, two volunteers will work the hotline and will be able to take multiple calls using call waiting, she said. About 12 volunteers are ready to work the hotline this semester and an additional seven are now training to join in the fall, Pravankin said. Parvankin said she and another volunteer will work to update and promote the hotline on social media and provide resident advisers with posters to hang. The program plans to add a section about GW Listens to the section on Blackboard that features resources at GW, she added. Amber Cargill, the assistant director of training and education and a clinician in Mental Health Services, said MHS staff facilitated weekly training sessions during the fall for the first round of volunteers and have been available for consultation as the call line continued to develop. “As with any new program or initiative, translating an idea into action often takes time,” Cargill said. The second group of volunteers, which will be ready by the fall semester, are currently enrolled in the required course for their training this spring, Cargill added. The class is offered in the psychology department and is a general course open to any students, Cargill said. “This allows for the listeners to maintain their anonymity and receive academic credit for their work, while still being trained by MHS Staff,” she said. Former SA President Nick Gumas first proposed the hotline in 2014 when mental health concerns grew on campus after a string of student suicides. SA leaders have been involved in developing and leading the project since. 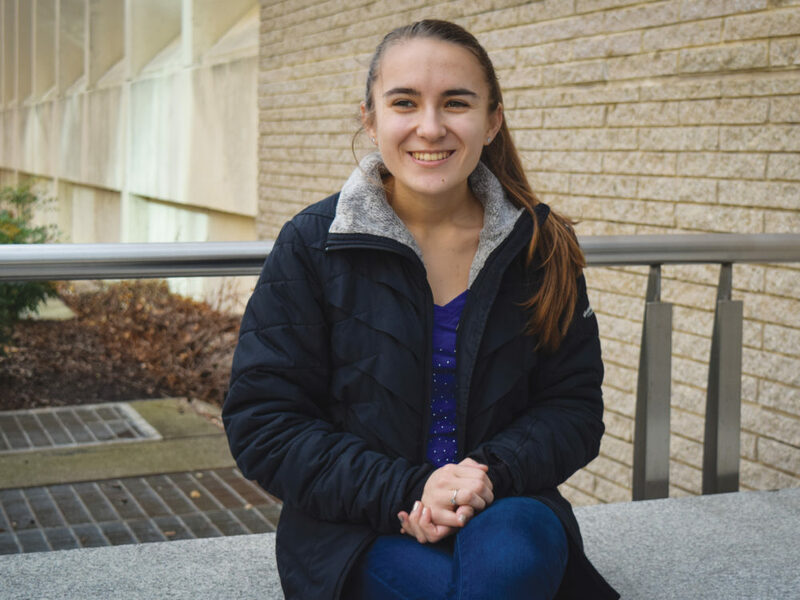 SA President Erika Feinman said in an email that if the demand for the service is higher than leaders expected, the SA will expand the program. Thomas Falcigno, the executive vice president of the SA, said those working on the program will continue to tailor the call line to students’ needs. Advisers and coordinators from universities that already run peer-counseling programs, like Drexel University and the University of Pennsylvania, said it is important to have qualified staff and a review system in place during the program’s first months. Scott Sokoloski, a psychologist who is starting his third year as the coordinator of the peer counseling helpline at Drexel University, said these programs are stronger when partnered with relevant university offices, like those for counseling and residence life. Drexel has a review system that includes bi-weekly meetings, in which peer counseling staff review calls which have been received, participate in ongoing training exercises to refresh skills and address new issues, he said. “Ongoing self-evaluation is crucial to the success of our peer counseling helpline as we have to adapt to the unique needs of our students from year to year, which can be triggered by familial, campus, regional or national events,” Sokoloski said.